Time for confession time, I am obsessed with my kids, like legitimately obsessed. Like many Moms I am my kid’s personal paparazzi. Picture taking is second nature to me, and dealing with me having them pose for a minute has also become second nature to my crew. I try to get those precious un-posed moments, the spontaneity and perfection that is childhood. Which is why this DIY large wood frame with over sized kids pictures is so important. What better way to display the pictures of my kids than having them be over sized?!!! Only kids can be this over sized, just science. Adults are not as photogenic, also… never photograph adults feet, it is all kinds of awkward. 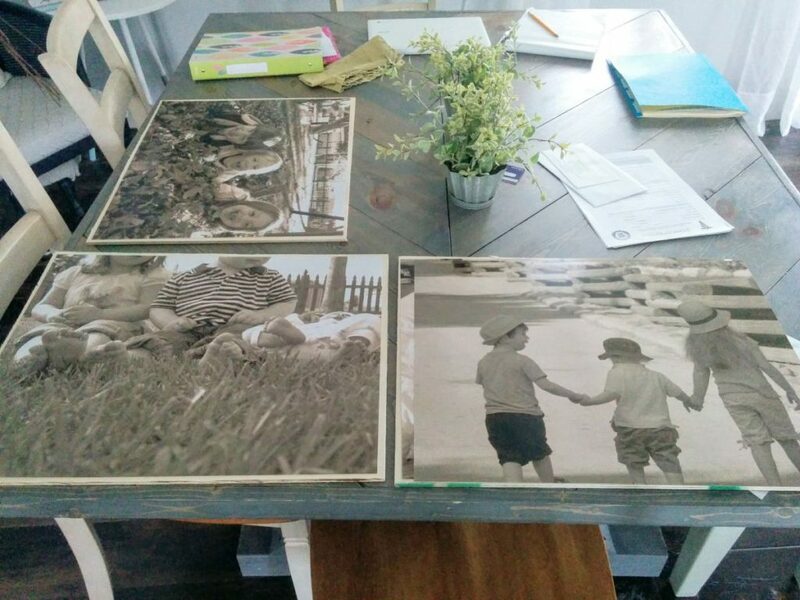 I selected four of my favorite pictures, I edited them into sepia colored and down to size. Then printed them at Wal-mart’s photo center. Nothing fancy here. All of these pictures were snapped by me, most without much effort from anyone other than capturing the giggly or sweet moment with my kids. This is the best kind of pictures to have, the posing can be for the school pictures. Capture those timeless moments of actual giggles, love, and fun. Those become the classic pictures you will cherish of your little ones when they are older. I purchased flat and thin wood boards. 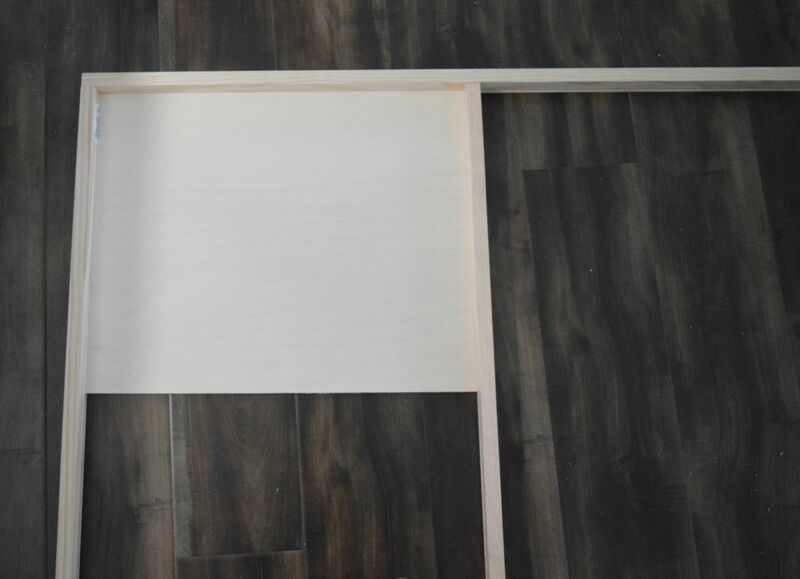 Measured where the pictures went to, then using a table saw and cut them down to size. Easy stuff. Next up is the frame. I wanted to keep the frame simple, let my little stars do all of the shining for the pictures. 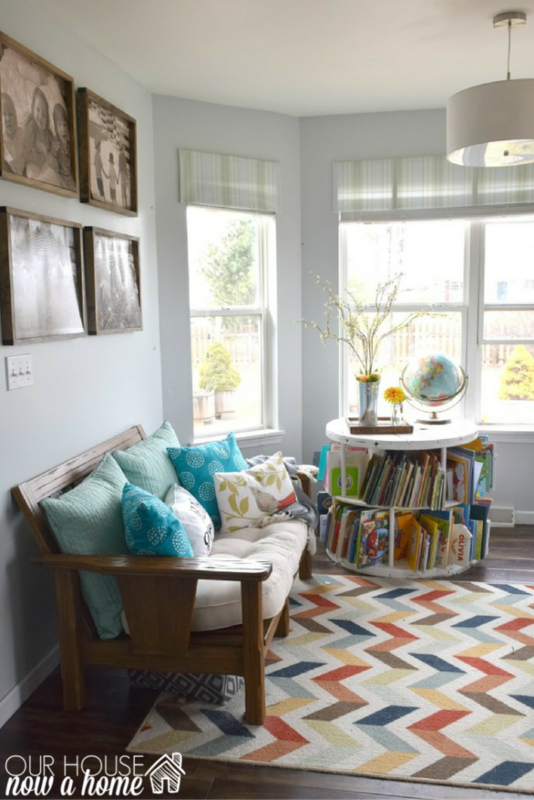 It will also allow an easy transition when changing out the pictures. With a simple frame I am able to put in any picture. 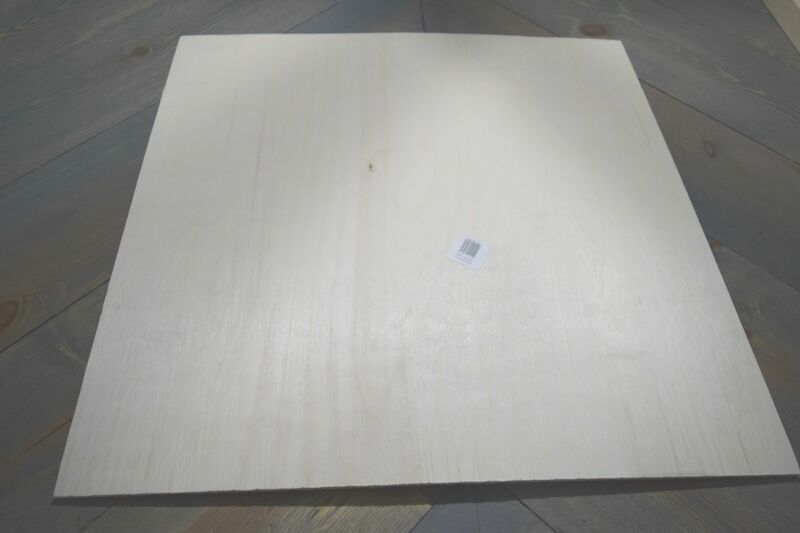 These boards are long and thin, with a 2 inch height, and about 1/2 inch thickness. 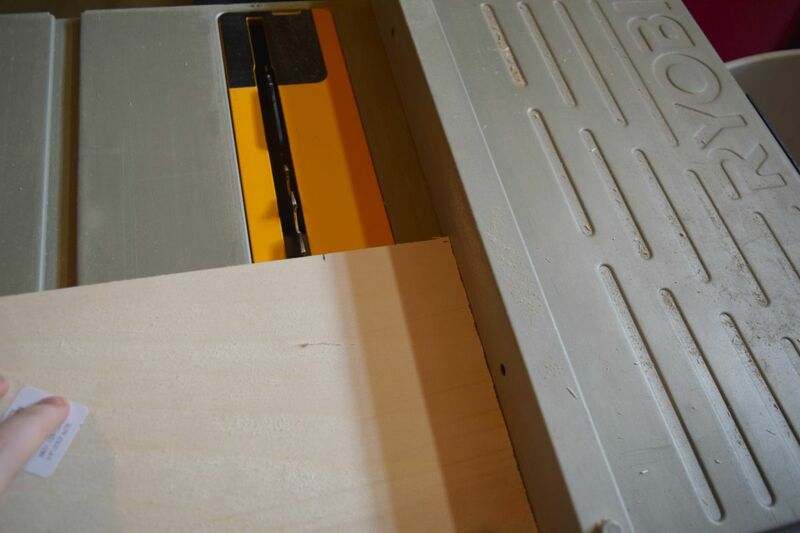 With the table saw I lined up where I wanted the frame backing to sit within the frame. 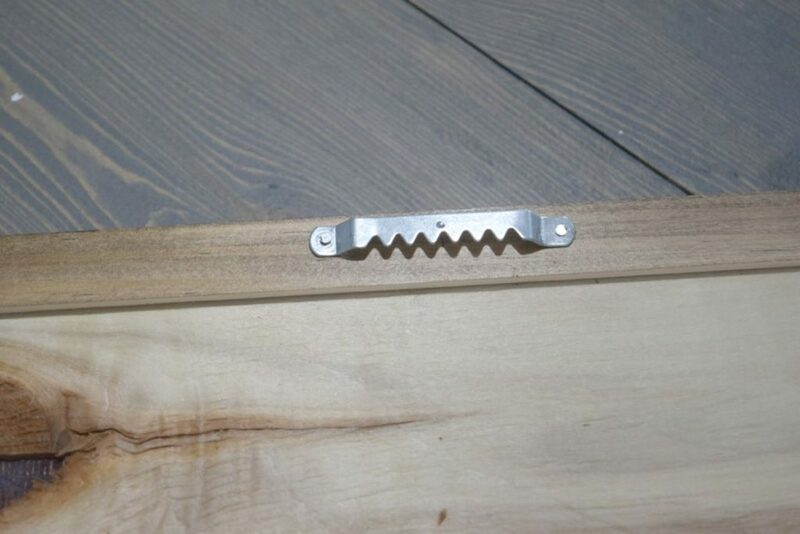 I was able to do it this way because of the power tools I have. 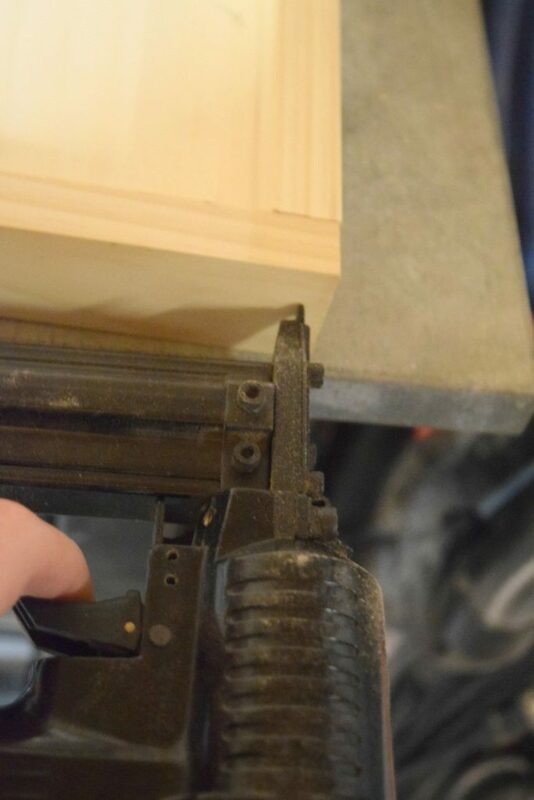 But, this frame can still be made with out them! 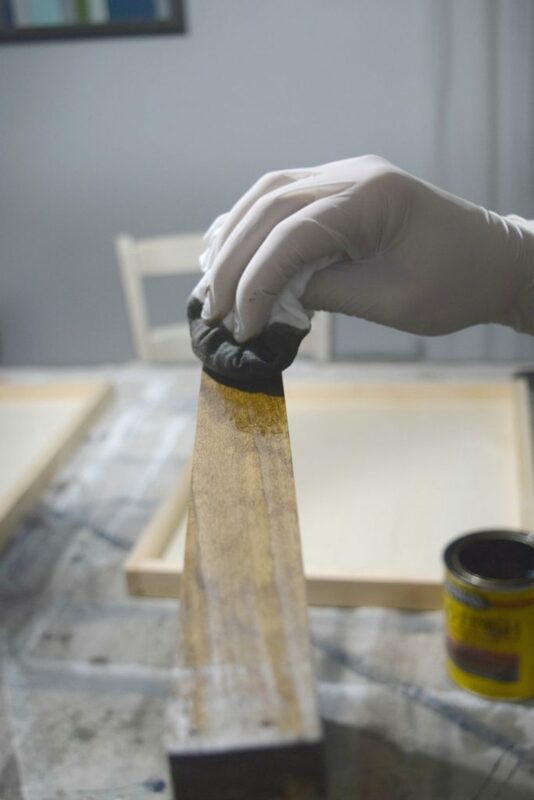 Using wood glue you can still get the same exact effect of the frame around the wood backing. The table saw allowed me to create a line that went through the complete edge of the long boards. 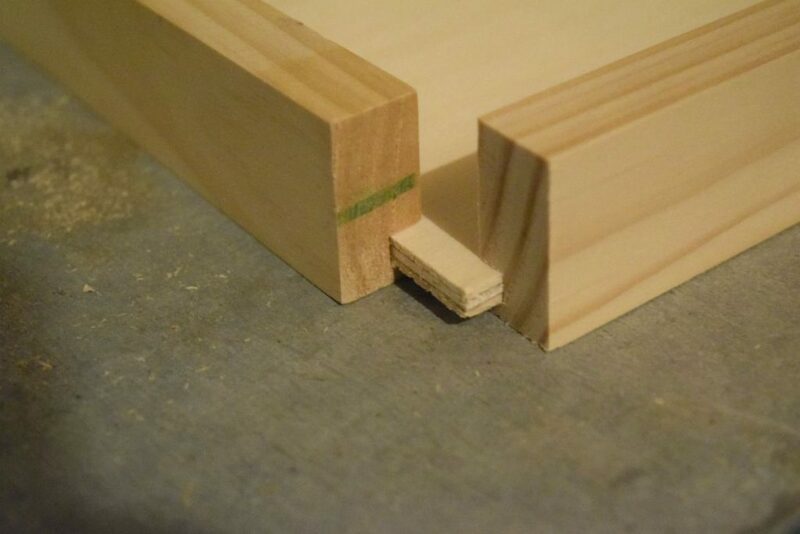 Letting the backing to wedge into place. Before I did any cutting on the frame sides I made sure that the lines we all complete and lined up correctly. 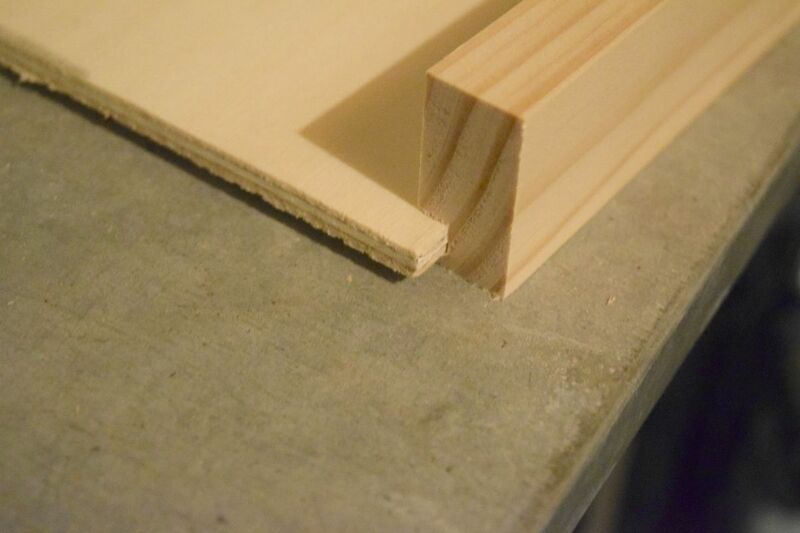 With DIY it is always measure twice (or a few more times) cut once. I also confirmed that the picture will fit right within the frame. Then using an air nail gun to secure it all into place. 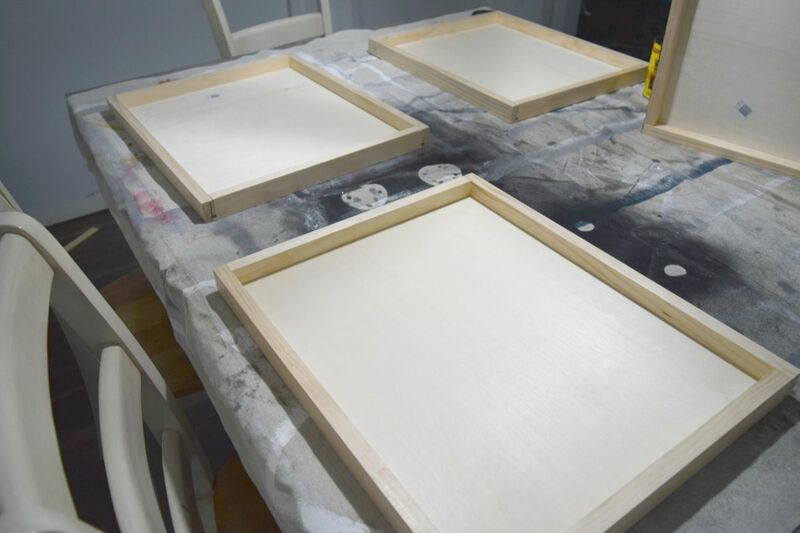 I have 4 large wood frames! 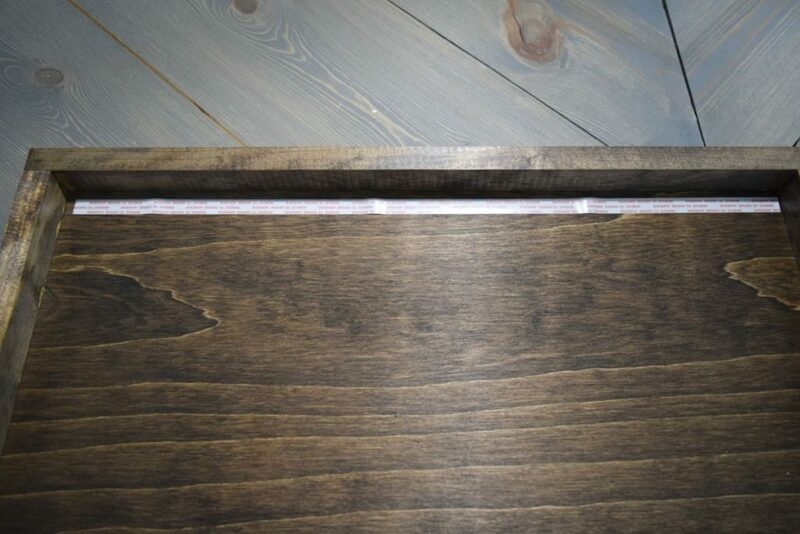 Time for my all time favorite dark walnut wood stain. I am sure eventually I will fall out of love with this stain,but today is not that day! Oh the beauty of this stain gets me every time. 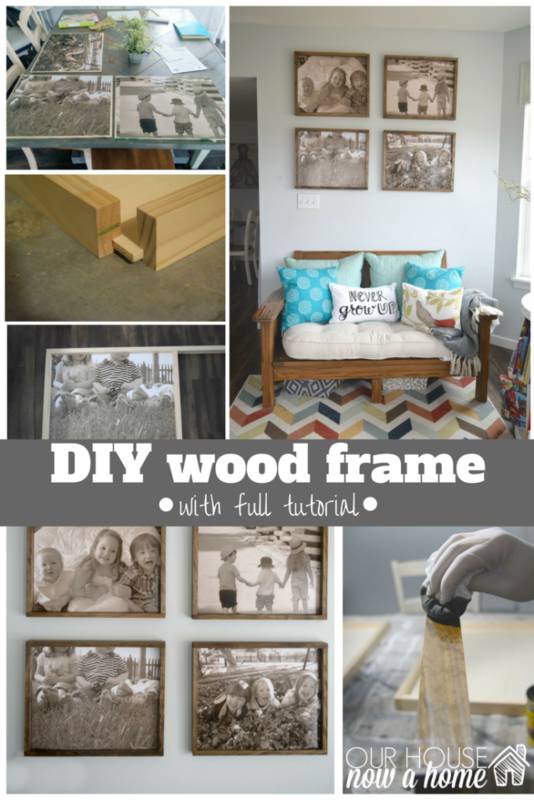 You ready for more simplicity to this DIY large wood frame project? I put double sided sticky tape on the interior of the frame backing. Peeled the top off, lined up the picture and stuck is down. Simple stuff! 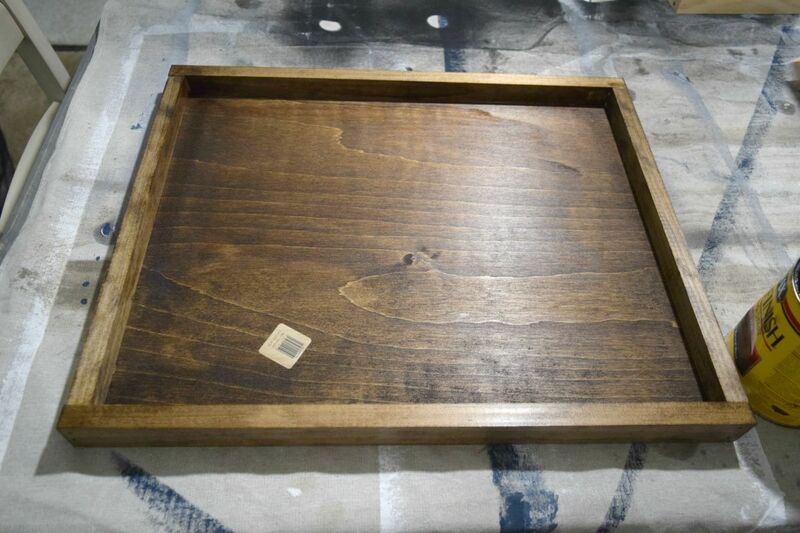 This will make a very easy way to update the pictures without damaging the picture or the frame later on. As I stated I love nothing more than taking pictures of my kids, and do it often. Which means new pictures being displayed because a new “favorite” happens. I put in a simple picture back hook. Voila! Done! 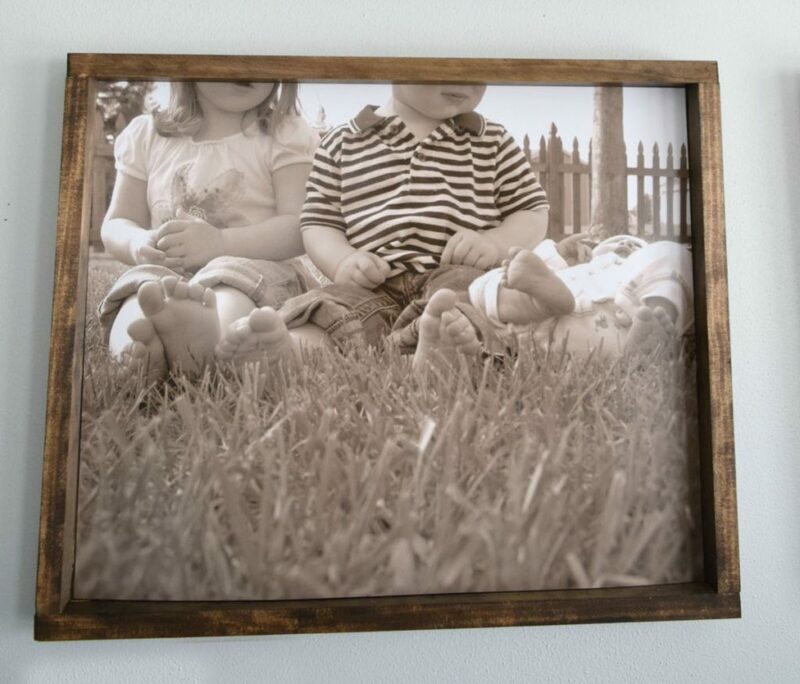 This DIY large wood frame with over sized kids pictures becomes a personal piece of art for my home. 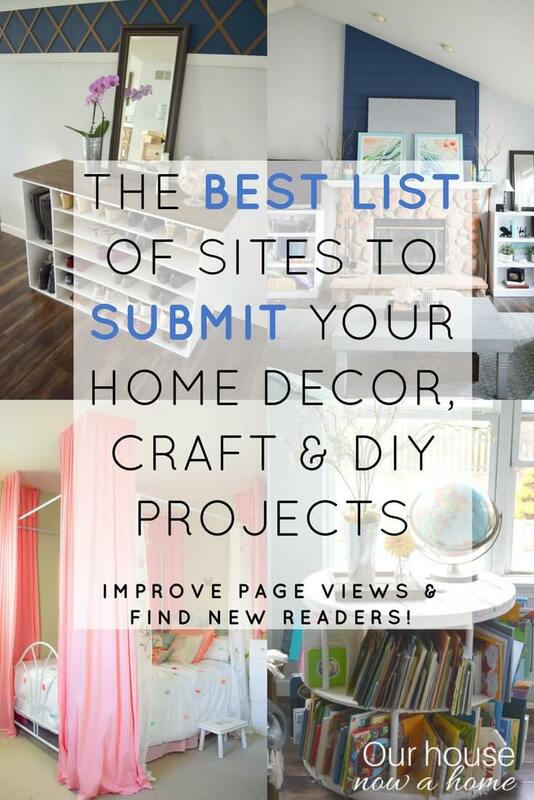 For projects like this with over sized pictures it is more important to select the right pictures than is typical. 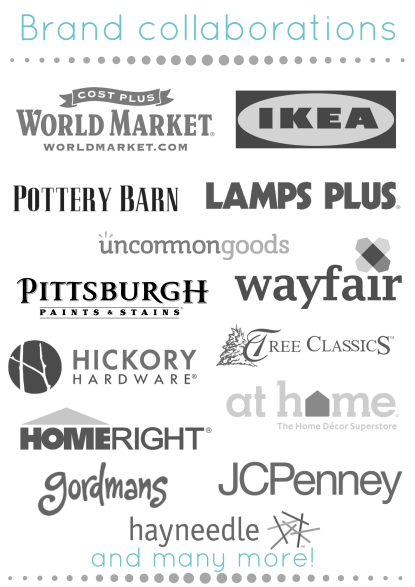 I was very thoughtful in picking pictures from a range of ages so that I do not want to constantly update. I love taking pictures, but life happens and I might not get to changing out these pictures for a while. #Momlife. I also chose ones with slightly non-traditional poses. 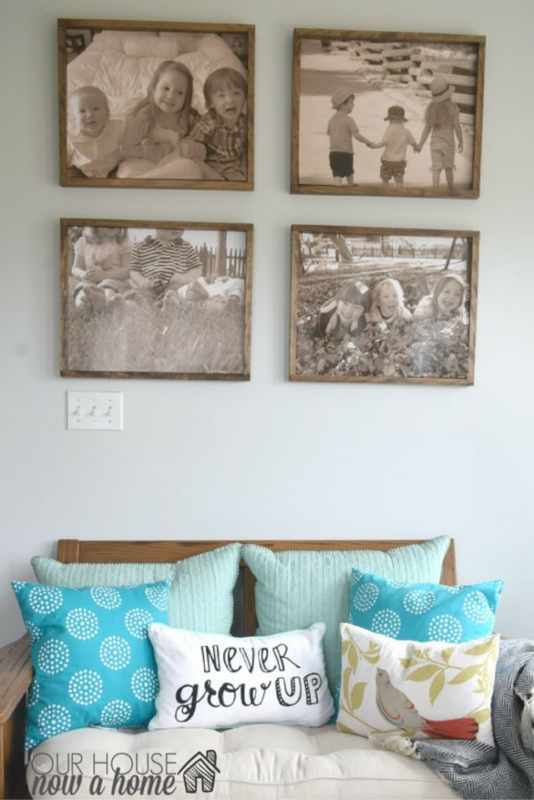 We have our massive gallery wall in the living room that displays the standard smile and pose pictures. These are more artistic because my kids are works of art 🙂 With them being over sized with a less traditional pose specific feels whimsical and timeless. Little shots like this one of my oh-so-tiny-extra-little-littles feet is just the kind of artistic that works. By changing the colors of the picture and cropping out any background; what would be an awkward picture becomes a moment in time of tiny little ones. 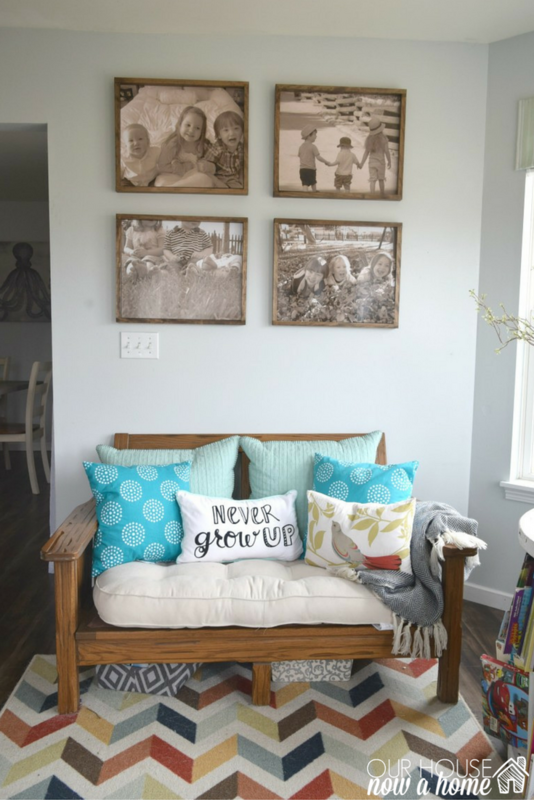 These large prints are in what we call the study, or the big-kid play room. It is a small room off of the kitchen and houses my kids books, in the awesome old spool and their art table. 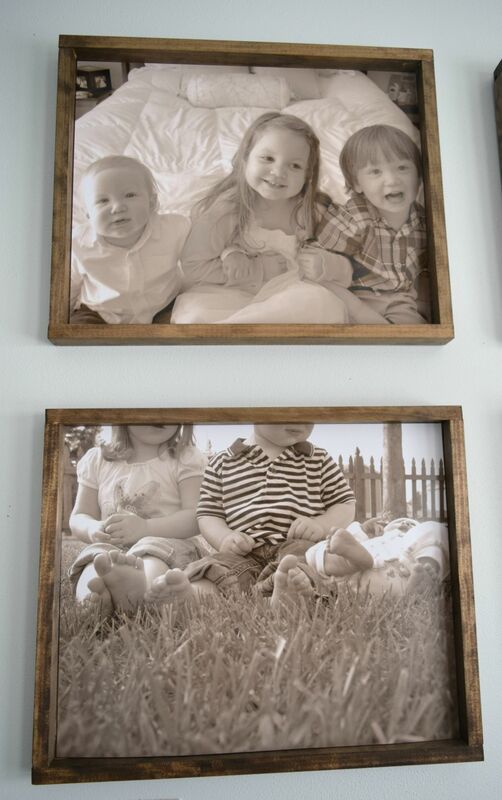 Having the over sized pictures of the kids be front and center works well. On one side we have their pretty faces (and feet, and cute hand holding backs). 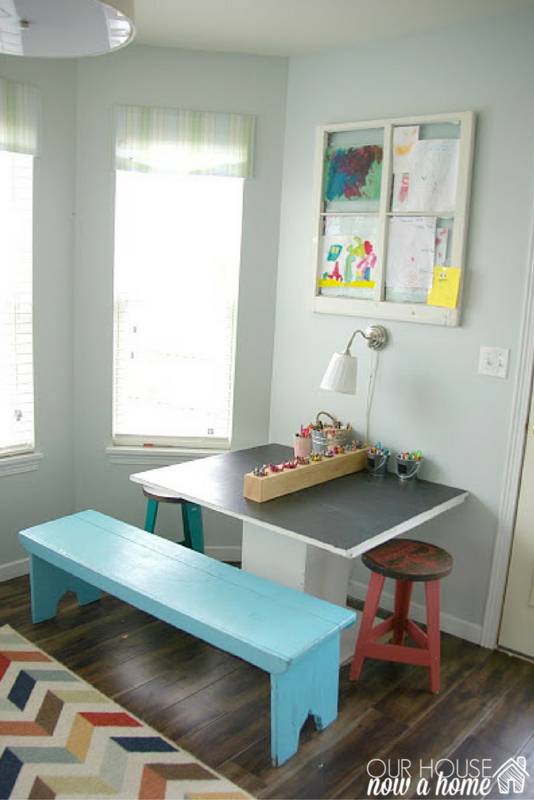 On the other side of this room, also front and center is their art work and their art table. I am loving the streamlined and simple look to these pictures. Ah, the most difficult part was selecting the right pictures for this. I can’t help taking pictures of my crew, they stick together, make spontaneously adorable moments, and I make cute kids. 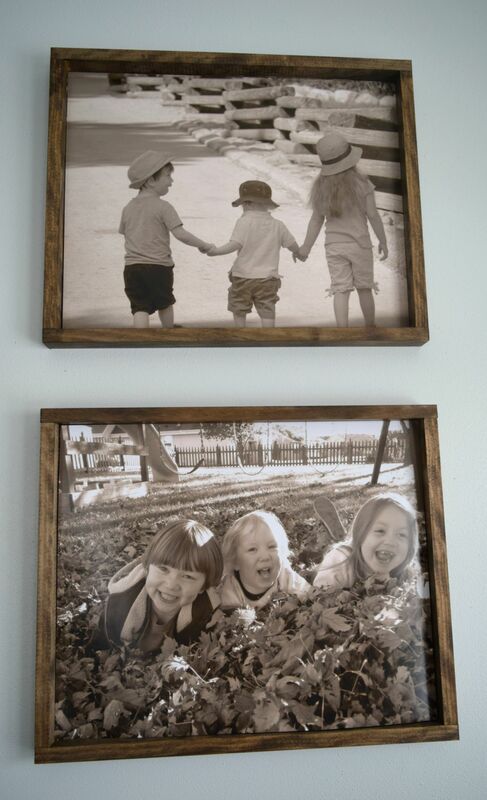 My best DIY project ever will always be these three kids. The nice part about this project is they were so simple to make, I can easily make a few more if I cannot part with a picture. Adding a new one every few years can become a new tradition. 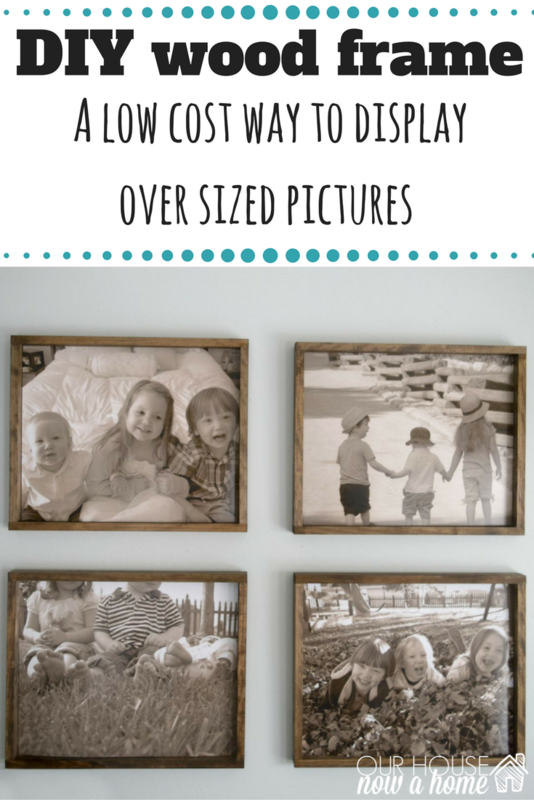 I love the idea of these DIY large wood frame with over sized kids pictures, it allows me to go big with wall art without breaking the bank. Having custom frames made can set you back a pretty penny. Aside from having a glass front, these are what you would get with a custom frame from a store. 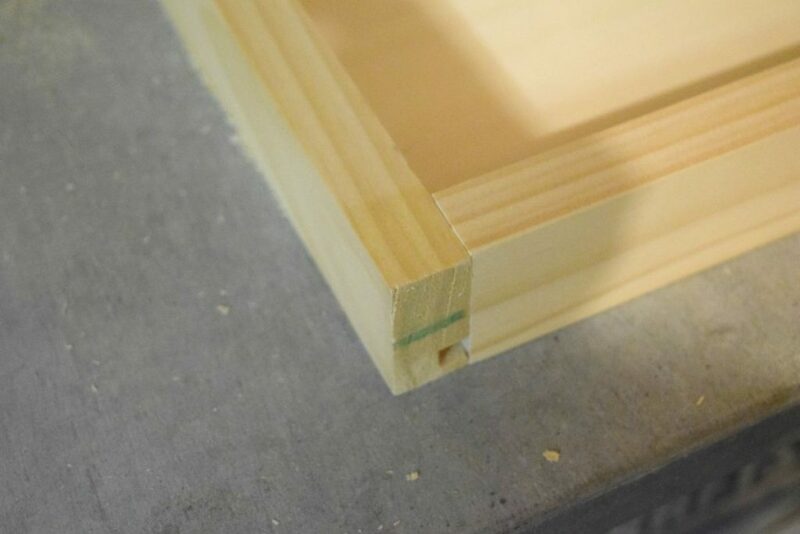 I could have fancied up the frames themselves too by adding trim or other features. 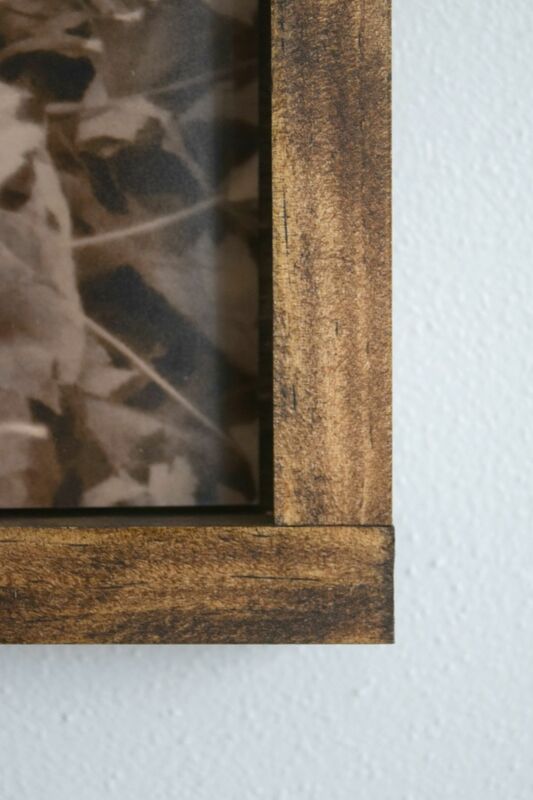 However, in this instance the simplicity of the frames are what makes the idea so beautiful! Also kids…. kids will always make something more beautiful. 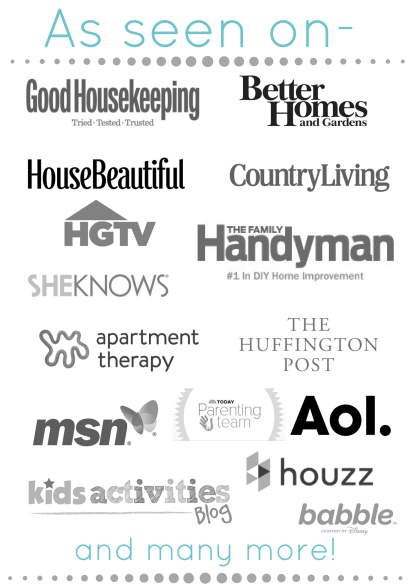 I think the most complicated part of this project is choosing the right pictures to display. As I explained above, go for the slightly off poses, non-traditional, and true kid moments. Having to crop a picture, zoom in or change the color is a great way to use an image that might otherwise be considered a dud. Lastly, feet, always take pictures of your littles ones cute toes, and if you can have them master the walking ahead of you and holding hands pose it is pure magic. I have so many of my kids in that pose and it will never get old. I will make them do it when they are way too old to pose for me. I am Mom and I will always pull out the wonderful Mom card. I gave you life, love, and cuddles… you give me hand holding and liberty to take pictures anytime. Just the way it works. Do you have any favorite pictures of your kids? How do you display them? What beautiful frames. I love how they look and you did a fabulous job on them. Such amazing talents you have. 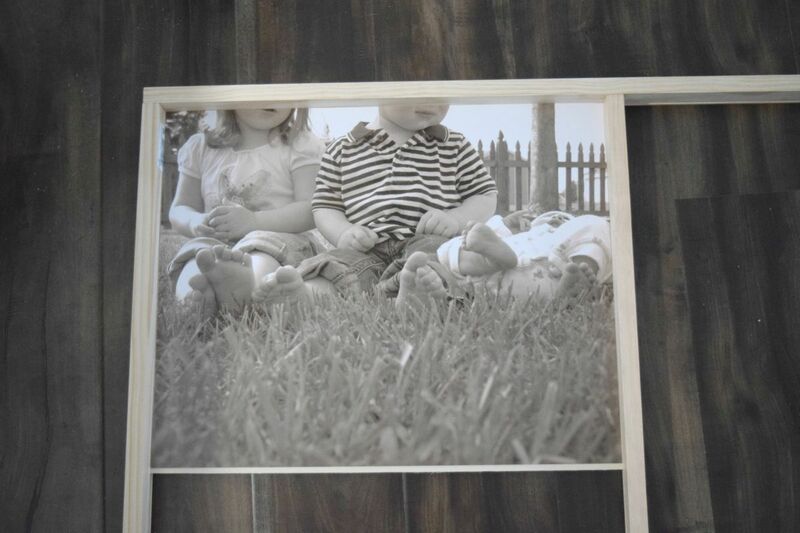 I love putting pictures up of the kids. I like the oversized look with the DIY frames! Pinning this for later! 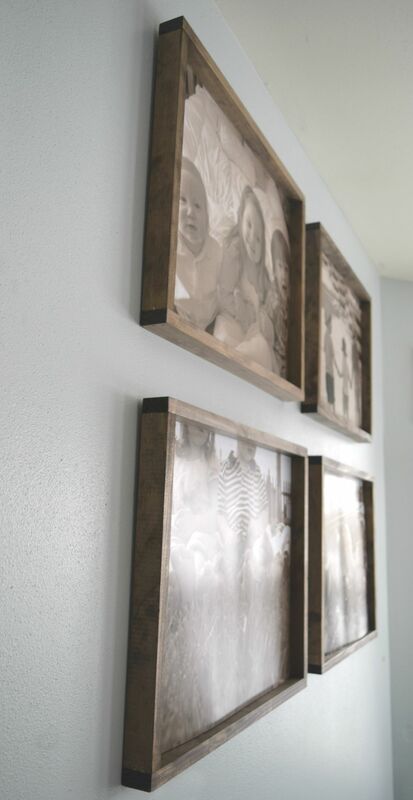 I love displaying photos, and those frames are awesome! You made them look easy to make, so I think I just may try! 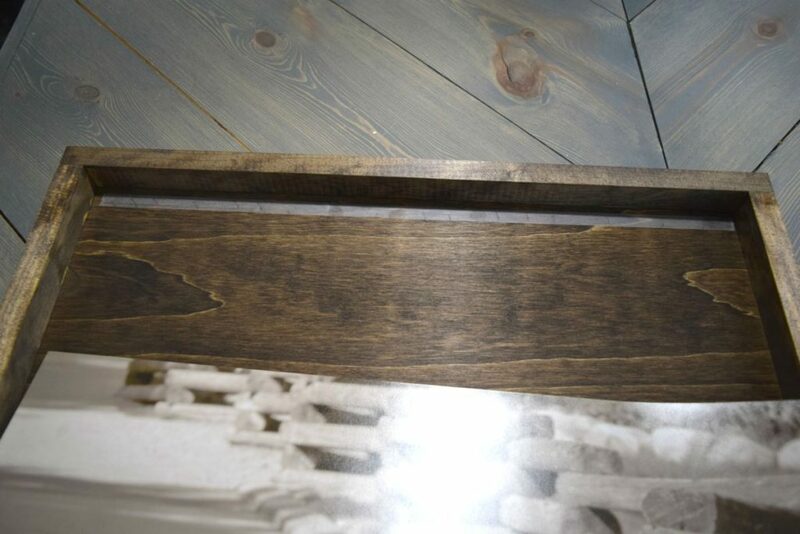 I really love the finish on this project. This is so attractive and would look great in my house. 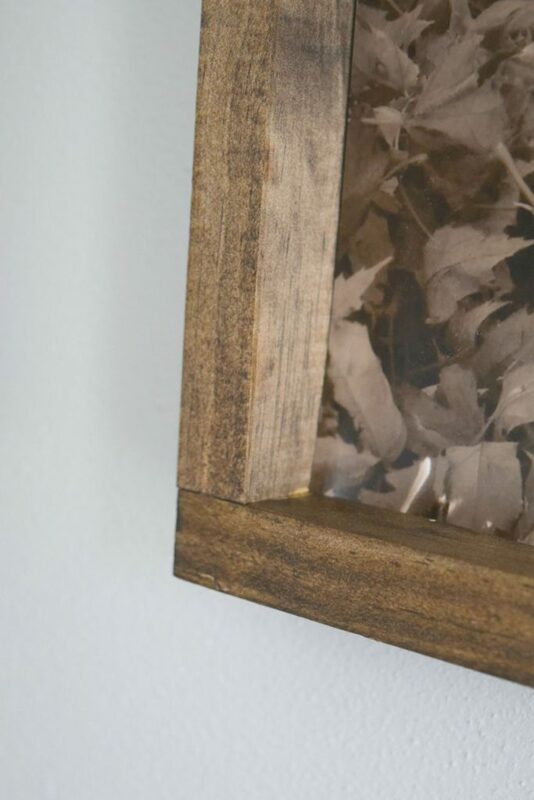 This is a great idea– we tried to make our own frames a few years ago, and I struggled getting the angles of the corners just right. This tutorial looks completely doable. Cuteeee! These are awesome! 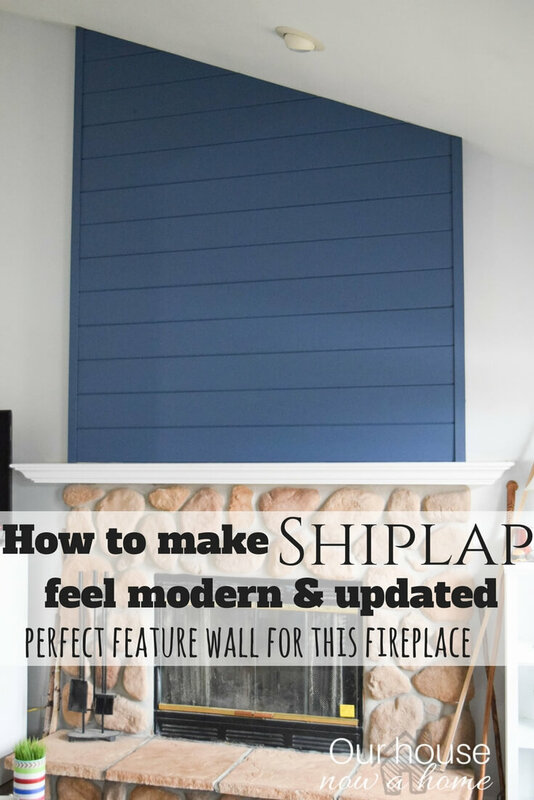 I’m always looking for a new DIY project to start so I can’t wait to start this! I love these. 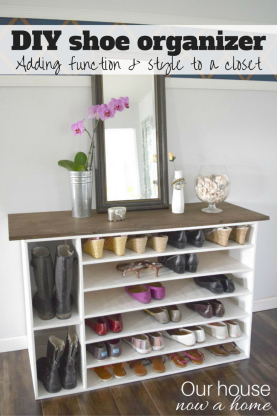 We are starting to get ready to decorate our new house and this is exactly what I need to do it. I never thought to make my own frames. Great job! I love the stain you used. The frames look so nice. Thanks for the tutorial. Your kids personal paparazzi…lol! I can see why, they are SO CUTE! 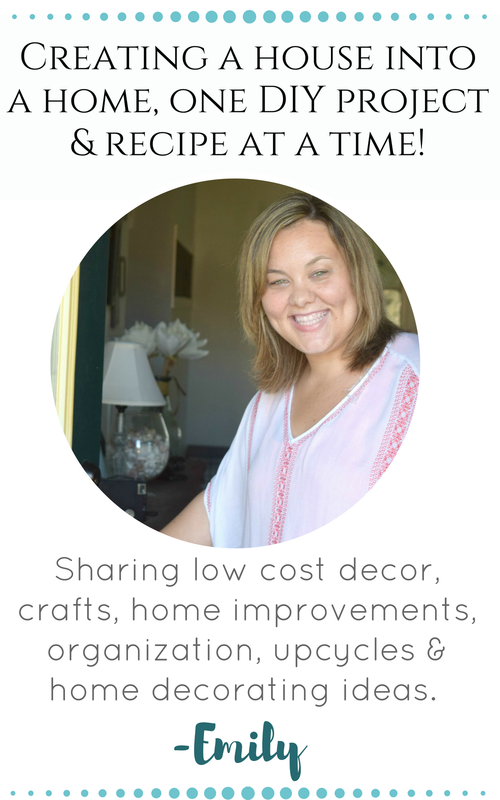 Love the wall art idea, too! I love these – so sweet! Awww so cute! I love them. Those frames are fantastic!! We just had new pictures of our family taken and I’ve been looking for a fun way to display them. 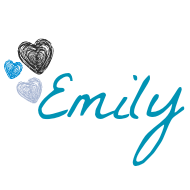 Just lovely Emily! 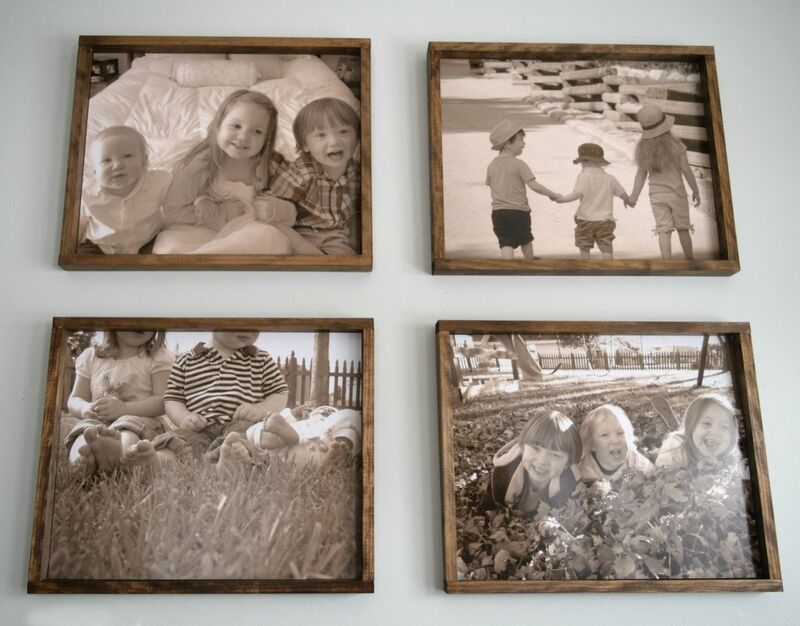 I love the frames and the pictures are even cuter. Pinning! That walnut wood stain looks really great! Good job! I love that the pictures are not fussy, but you captured their sweetness so well. 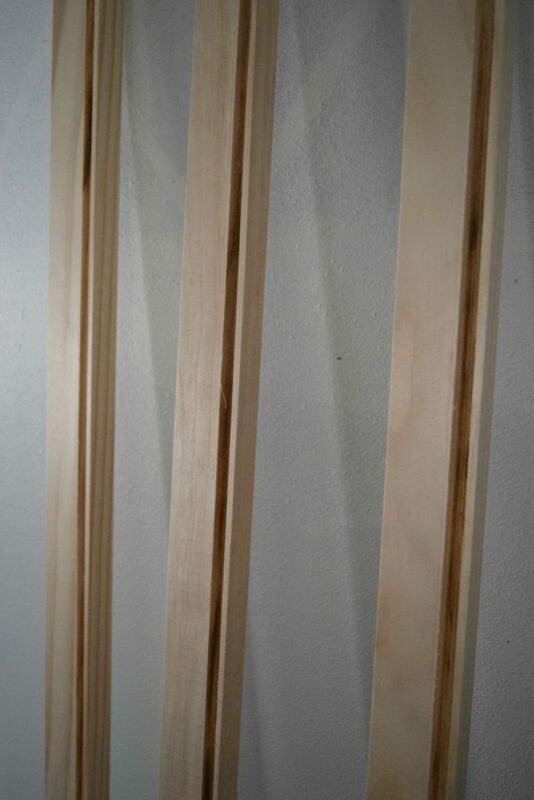 The frames are great, I need to make some more picture frames, you can never have enough! Pinned.